On February 9th, the 23rd Olympic Winter Games will commence in Pyeongchang County, South Korea. For the competitors, this event represents the culmination of life spent tirelessly training. We'll hear many of their stories throughout the next few weeks, but what about the Procurement professionals who make the festivities possible? 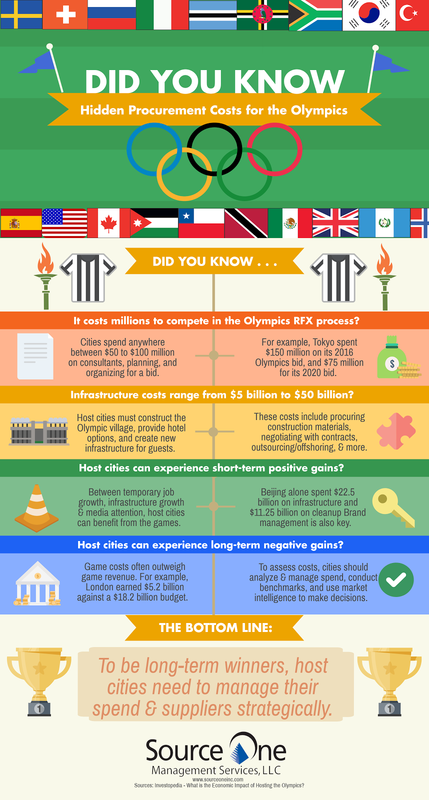 Let's take a closer look at some of the costs associated with hosting the Games. Looking to get your Procurement operations into world-class shape? Contact the award-winning consultants at Source One.